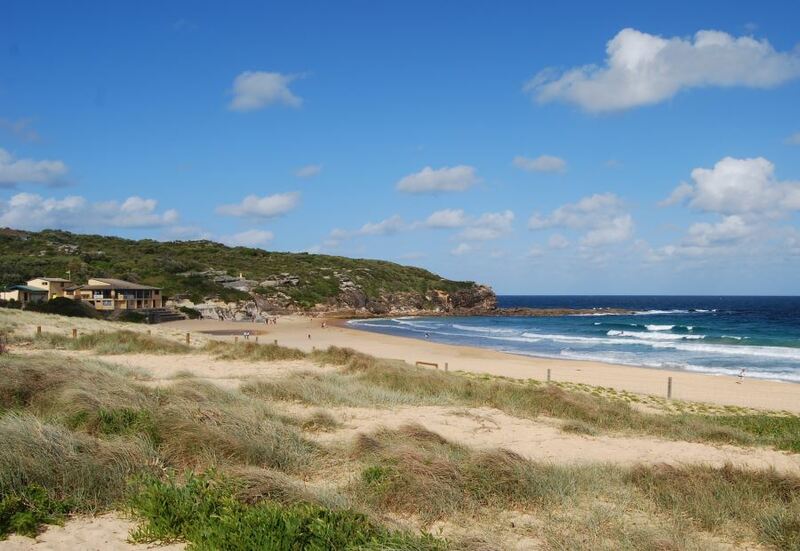 Another long stretch of sand, North Curl Curl Beach is known for its surf breaks. With the exception of the Surf Life Saving Club, there are no shops and eateries to crowd the unique atmosphere that this beach has. Backed by sand dunes, the beach also has a lagoon behind it and large parklands. On the other side of the main road that passes here, there are only residential homes, occupied by lucky residents. That being said, there can very rough surf and strong rips and riptides along the beach. Be sure to only swim between the flags here. You can enjoy long peaceful walks along the beach or alongside the lagoon. You can also take the walk along the cliffs to Dee Why Beach for great views of the coast and ocean. You may even spot dolphins or whales. At the north end, and just south of the beach (South Curl Curl) there are rock pools, for swimming and younger families, particularly on bigger surf days. Pay parking is available near the surf club. Other facilities include showers, public and disabled toilets, rockpool and kiosk. There is an enclosed playground at the park on the other side of the main road. There is also a regular bus service that runs from Manly to Curl Curl Beach and back (136). There is also the (139) from Manly Wharf which will get you to South Curl Curl. The Surf Life Saving Club performs regular life saving at the beach for much of the year. Please follow their instructions, they are there for you and your families safety. Swim Between the Flags! There is usually at least some surf, with sand breaks all along this long beach including adjoining Long Reef. When it is larger, there can be rips and riptides.